Hi, I’m testing egroupware, just for calendar. Now I’m adding users and permissions. All the users are in default group. Mary is a user. She has a private appointment from 10am to 11am. She wants this appointment appears in default calendar, just like private, with no text. Charles is another user. When he looks at default calendar, there is no appointment. I’m looking for a tutorial about how assign permissions and what is possible to do. I haven’t found it. Can anybody help us please? 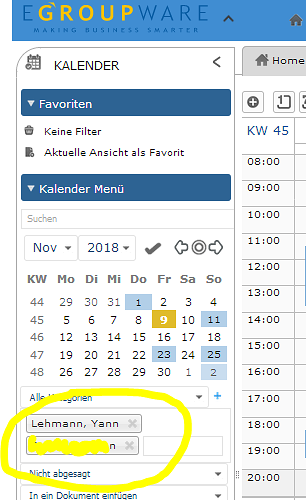 User can grant access rights to their calendar by clicking the icon above the app tabs. Do you mean that Mary has granted access rights to Charles (or the default-group) and that this does not work as expected ? Thanks Yann_Lehmann for your answer. An image more better than 1000 words. The first part of the image are the permissions from Mary. Is the calendar of Mary also selected when Charles’s viewing his own calendar (see screenshot) ? 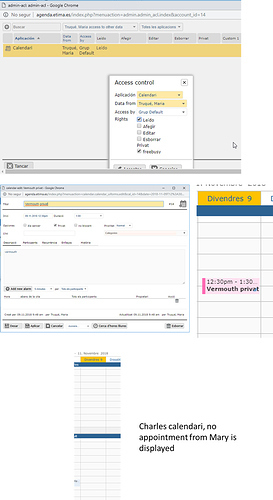 But every user needs to have all others calendars to see their appointments?. We are about 30 users. 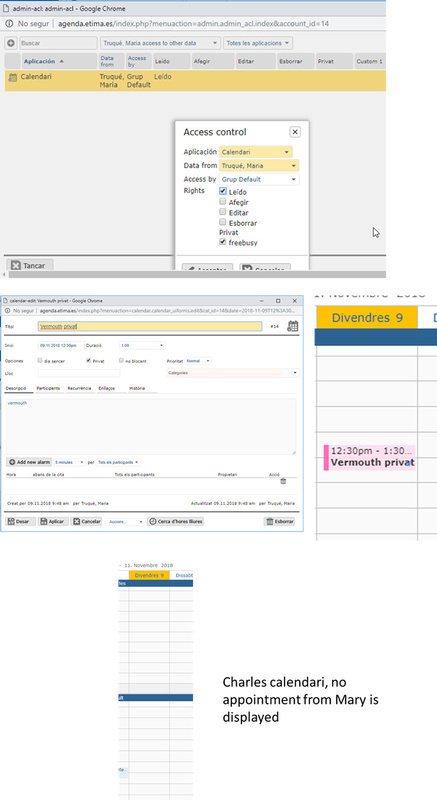 Our idea was to see your own calendari, and the default calendar with all the appointments. Is it possible?